In October 2010 Google introduced a new type of natural search results (local SEO results) - “Google Places” - a new and a more effective way for every business to reach more local customers. 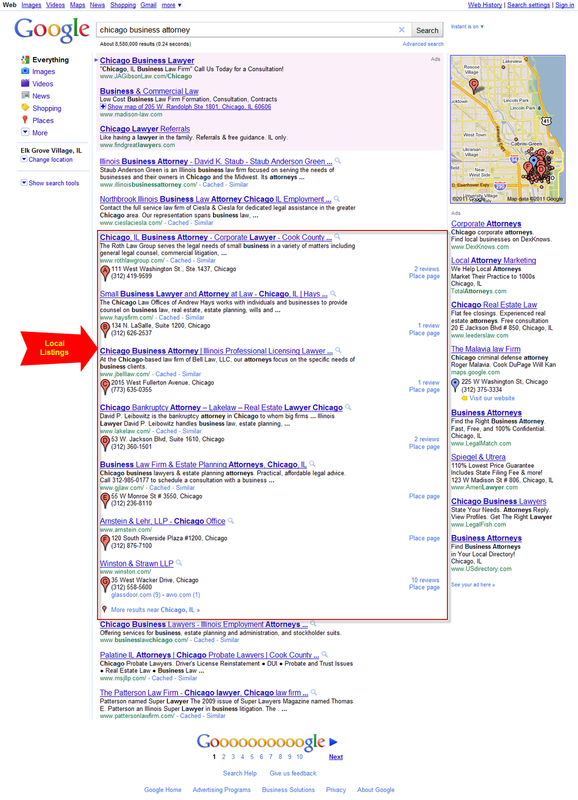 Before “Google Places”, a local-oriented query in Google like “Chicago business attorney” might have returned a “7-pack” of Maps results followed by normal organic web page results. Now, queries like this will return a page of hybrid web results with Google Maps listing information below each qualified result. 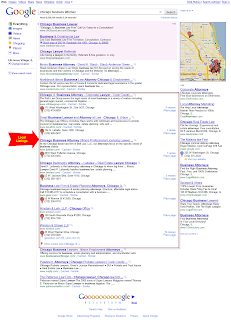 The map that is part of the local results is now moved to the top right of the page above the paid search listings. As a result of this change now 'Google Places' data is more prominent. Google Place pages’ content is more important, as users are now exposed to more of the local results on the standard web search results page (SERP). Proceed Innovative will be hosting a FREE SEMINAR "Get Noticed on Google!" Join us and learn about the newest programs such as Google Places, our Local SEO, Mobile SEO programs and how to apply them to your business.